SOLE has created this privacy statement to demonstrate our firm commitment to privacy and confidentiality. The policies described in this section apply to www.solefitness.ca and are made available to make you aware of how we collect and use identifying information of visitors to our websites. All personal information collected through this website is controlled by Dyaco Canada Inc. and will not be shared with any outside parties without your consent. Dyaco Canada Inc. does not intend to collect personal or contact information from anyone under 18 years of age. Please do not send us your personal or contact information (eg. your name, home address, phone number, email address) if you are under 18 years of age. Should you be under 18 years of age and wish to contact us in such a manner requiring you provide us your personal or contact information, please have a parent or guardian contact us on your behalf. In the event you require service for one of our products within the life of its warranty, your contact information and address may by supplied by us—with your permission—to an affiliate service depot in your area in order that a technician may be dispatched to attend to the problem. Some information related to your browsing activities on Dyaco Canada Inc. websites may be collected and analysed in order to provide visitors a more effective user experience on our sites and for the purposes of marketing and/or tracking sales. This information will not identify you personally and may include, but is not limited to, your operating system, your web browser, the time and date of your visit, and the website that linked you to us (if applicable). Dyaco Canada Inc. does not share this information with any outside parties. Some information called “cookies” may be stored on your computer. Cookies relate to your activity on our sites and are simple text files stored on your computer by a website's server. Cookies can only be accessed and read by the server that stored them. Cookies are unique to your web browser and contain information that will not identify you personally, but will allow a site to remember information you have entered, such as items you have placed into your cart. If you wish, it is possible to block cookies from being stored on your computer. You will need to visit your web browser's settings and/or help feature to block some or all cookies, and will need to adjust the settings for any other browsers that may be used on your computer or device. Please note if browsers have been configured to block cookies, you may not be able to properly access or use some websites. You can shop at www.solefitness.ca with confidence. 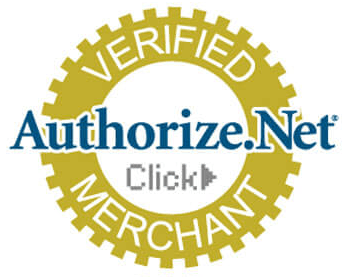 We have partnered with Authorize.Net, a leading payment gateway since 1996, to accept credit card payments safely and securely for our customers. www.solefitness.ca is registered with the Authorize.Net Verified Merchant Seal program.